All the confetti on the floor at AT&T Stadium hadn't even been picked up yet Monday night when speculation about next year's college basketball season began. It's too early to take a clear-headed look at next season since some top recruits haven't chosen a school, transfer season is only beginning and we don't know which NBA draft prospects are staying in school and which will leave. Nonetheless, based on my best guesses for who's staying and who's going, here's a very early look at the best teams for the 2014-15 season. Outlook: Whether Arizona is the clear national title favorite or just a contender depends on which of its underclassmen turn pro in the coming weeks. Gordon is likely to leave and Johnson may too even though he's a projected second-round pick since he can't play too much better than he did during an All-American junior season. As long as those two are the only key departures and Hollis-Jefferson or Tarczewski aren't tempted, Arizona will be very, very good. McConnell is the consummate steady pass-first point guard, Hollis-Jefferson, York and highly touted freshman Stanley Johnson complement one-another well at wing and Tarczewski and a now-healthy Ashley anchor the frontcourt. One big question will be if Victor or another newcomer can emerge as a badly needed third big man. It also would help if Jackson-Cartwright is capable of serving as backup point guard to McConnell. Outlook: Even if Parker and Hood leave early for the NBA as expected, Duke should be one of the nation's best teams next season, but there are some compelling questions about the Blue Devils. The first is whether McDonald's All-American Tyus Jones will seize the starting point guard job from Cook or whether the freshman and senior will start alongside one-another. It will also be interesting to see if the presence of a true center in Okafor and the development of Plumlee can solve some of the defensive woes that plagued Duke during the 2013-14 season. Regardless, the Blue Devils should still be an excellent offensive team. Okafor enters the college game as a potentially dominant low-post scorer, Jefferson made strides offensively last season, Jones and Cook are a strong point guard tandem and Allen and Winslow should help Sulaimon with scoring from the wing. Outlook: Don't cry for Bill Self because he's losing Wiggins and Embiid. Kansas returns three starters and some promising reserves and adds a pair of McDonald's All-Americans and a coveted transfer in Mickelson who could thrive in a system that fits a 6-foot-10 big man better than Arkansas' did. Between Ellis, Alexander, Mickelson and Traylor, Kansas is loaded in the frontcourt — and could get stronger still if elite center prospect Myles Turner joins the fold — but there are more questions on the perimeter. Can Oubre start right away and duplicate some of what Kansas got from Wiggins? Will Selden make a big leap as a sophomore after a solid freshman season? And perhaps most importantly, can either Tharpe or Mason seize the point guard position and solve Kansas' issues there? The answers to those questions probably determine whether Kansas is a good team or a team that repeats as Big 12 champs for the 11th straight season and contends for the national title. Outlook: Wisconsin will enter the season as a championship contender thanks to the return of seven of its top eight players from a team that was one shot away from the national title game this season. The only key loss is senior guard Ben Brust, whose perimeter shooting and leadership will be missed. To replace Brust, Bo Ryan could either go big, add Hayes to the starting lineup and slide Dekker to his more natural small forward position or stay with a three-guard look and elevate the promising Koenig into a starting role. Either way, the biggest questions for Wisconsin are whether a capable fourth guard emerges and if the Badgers can develop much-needed frontcourt depth. Brown, who played sparingly as a freshman this past season, and Happ, a 6-foot-8 incoming freshman, have the best chance to solidify the frontcourt off the bench. Outlook: Projecting Kentucky's 2014-15 season is difficult without knowing which underclassmen will return, but we can take an educated guess. Randle, Cauley-Stein and Young are all projected first rounders who are likely to leave, while the Harrison twins seem likely to bolt too after a redemptive postseason. It's certainly possible Poythress or Johnson leave too, but the best guess is both come back next season with more playing time available. The result is a 2014-15 team likely to be once again very dependent on freshmen. The small but jet-quick Ulis is the heir apparent at point guard. Booker and Poythress would be the most likely starters at wing. And the frontcourt would again be loaded with a three-man rotation of Johnson and McDonald's All-Americans Towns and Lyles, with rapidly improving Lee pushing all of them for minutes. Outlook: The loss of McAdoo shouldn't be especially damaging for North Carolina given the frontcourt talent available to Roy Williams. Meeks showed flashes of immense promise as a back-to-the-basket scorer. Johnson commanded more and more minutes as the season went along with his ability to block shots, rebound and finish at the rim. And the duo of McDonald's All-Americans Jackson and Pinson will contribute right away at small forward. What's concerning for North Carolina is none of the incoming recruits address the team's primary weakness last season: Outside shooting. Aside from Paige, no returning rotation player shot more than 25 percent from behind the arc. That won't keep North Carolina from being a potential top 10 team, but it's certainly a big concern again unless Tokoto improves his shooting or one of the standout freshmen shows the capability to consistently knock down perimeter shots. Outlook: It may be difficult for Florida to contend for a national championship again after losing four senior standouts, but the Gators won't fall far as long as Chris Walker returns to school. Walker, a 2013 McDonald's All-American, didn't get eligible until midway through SEC play and played sparingly after that, but his potential is high enough that he could be drafted anyway were he to leave. Assuming Walker returns, he and the versatile Finney-Smith would make a nice frontcourt tandem, with top recruit Devin Robinson at small forward and returners Hill and Frazier in the backcourt. Were Walker to leave, the Gators would be very light on frontcourt depth and might need to explore finding a one-year transfer capable of providing size, rebounding and shot blocking. Regardless, Florida will need Frazier to find other ways to score besides spot-up jumpers and Robinson to make an immediate impact. Outlook: If another unbeaten regular season is an extreme long shot, another superb year certainly is not. The return of VanVleet, Baker and Cotton gives Wichita State one of the nation's best backcourts, one whose skill sets complement one-another perfectly too. The question mark is in the frontcourt, where newcomers must replace the graduated Early, Lufile and Coleby and help support the back-to-the-basket scoring specialist Carter. Kelly and Brown, both 6-foot-7 forwards who spent last season in prep school, are the most likely to make an immediate impact, while the 7-footer Wamukota should provide size, shot blocking and rebounding off the bench. As confident and experienced as the Wichita State backcourt is, the Shockers enter as the overwhelming Missouri Valley Conference favorites and a clear-cut Top 25 team. If the newcomers in the frontcourt surprise or the Shockers add a transfer, a deep March run could be possible. Outlook: Much of Michigan's outlook will be determined in the next couple weeks as Stauskas, McGary and Robinson each decide whether to turn pro or return for their junior seasons. Stauskas seems the least likely to return given that he had a brilliant season and is projected as a mid first-round pick. Robinson's stock dipped early in the year, but his aggressive play late in the season keyed Michigan's strong finishing kick. McGary missed most of the season with a back injury, but being old for his class could convince him to try to prove himself in workouts rather than return for his junior year. If Robinson and McGary both return and Walton continues to make strides at point guard, Michigan could repeat as Big Ten champs and contend for the national title. Losing one or both of those guys could put pressure on the freshmen to make an immediate impact and send the Wolverines backwards in the pecking order a bit. Outlook: Even though UConn loses All-American and Final Four MVP Shabazz Napier, there’s plenty of reason to be optimistic about the Huskies next season. Ryan Boatright assumes the role of primary ball-handling guard, Omar Calhoun, talented NC State transfer Rodney Purvis and incoming freshman Daniel Hamilton figure to provide perimeter offense and 7-foot Amida Brimah showed promise as a shot blocker when he wasn’t in foul trouble. The big question facing the Huskies in the coming weeks is whether DeAndre Daniels returns to school for his senior year. The 6-foot-9 forward played his way onto the NBA radar with his brilliant play in the NCAA tournament, but he’d likely be a second-round pick at best if he left school this spring. Outlook: Though the scoring of Harris and rebounding of Mitchell will be tough to replace, Virginia will be a contender in the ACC again next season. Three starters and the ACC sixth man of the year return from a team that swept the ACC regular season and tournament crowns and reached the Sweet 16. Brogdon led Virginia in scoring as a sophomore, Perrantes excelled at point guard as a freshman, Tobey has breakout potential this season and Anderson was the team's third-leading scorer off the bench. Throw in Bennett's trademark stingy defense, and this is another formidable Cavaliers squad. Outlook: Though Villanova potentially returns all but two key players from a team that won 29 games, captured the Big East title and earned a No. 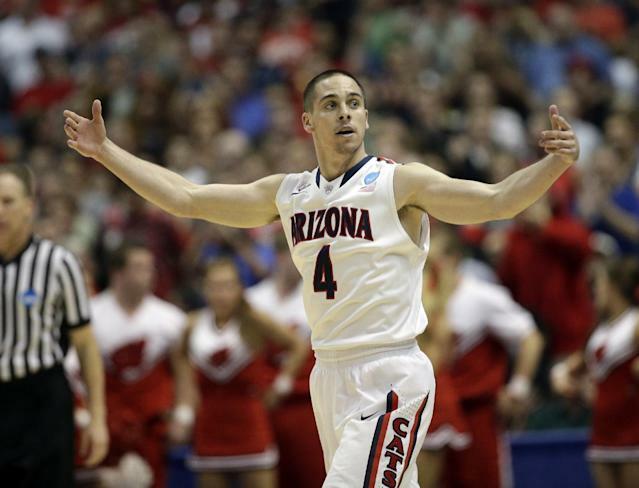 2 seed in the NCAA tournament, the Wildcats still have some flaws. A lack of size and depth in the frontcourt again is the primary concern as Ochefu is the lone traditional big man. His shot blocking was an asset this past season, but he isn't an elite rebounder and he has yet to develop into a scoring threat. Villanova's perimeter corps is loaded even with the loss of Bell. Hilliard averaged 14.3 points per game and showcased a vastly improved 3-point shot. Arcidiacono showed the same grit he did as a freshman while improving his shooting percentage and decision-making with the ball in his hands. Josh Hart could be primed for a breakout season after a promising start as a freshman. And highly recruited newcomer Phil Booth could make an instant impact. Outlook: The worst-case scenario for Texas is it returns every key player from a team that won 24 games, finished tied for third in a rugged Big 12 and reached the round of 32 of the NCAA tournament. The best-case scenario for Texas is it returns all those guys and also adds elite recruit Myles Turner. Add highly touted McDonald's All-American center to a roster already loaded with experienced big men and promising young guards, and Texas could be well-positioned for return to the top 10 and a deep NCAA tournament run. The main competition for the Longorns is league rival Kansas, which would have a need for Turner assuming Joel Embiid turns pro as expected. Regardless of whether he lands Turner, Rick Barnes clearly has Texas trending in the right direction again. This past year's Longhorns were stout defensively and rebounded exceptionally well. Next year's team should have the same strength and be less erratic in the backcourt too. Outlook: The disappointment of being the last team left out of the NCAA tournament and of falling in the NIT title game had to be eased for SMU by the promise of what's ahead. The Mustangs return every key but Russell and Williams from a 27-win team and add arguably the best point guard prospect in the 2014 class in Mudiay, an explosive 6-foot-5 guard in the mold of Andrew Harrison or Tyreke Evans. SMU was already a really good defensive team and a really good home team this past season. With additional scoring punch from Mudiay, another year of development for the promising Frazier and another year of Larry Brown's tutelage for the rest of the roster, the Mustangs are capable of improving considerably on offense and winning more consistently on the road. Outlook: There aren't many graduating seniors who are bigger losses for their teams than Thames, the do-it-all point guard who became the engine for the highly successful 2013-14 Aztecs. In what was supposed to be a transition year for San Diego State, he provided enough offense to propel a team built on defense and rebounding to the Mountain West title and Sweet 16. The return of every key player besides Thames and Davis and the addition of a top 10 recruiting class raises hopes that San Diego State could meet or exceed this past season's achievements. A stronger, more confident Chol and the defense-oriented Spencer will anchor a long, athletic frontcourt, while high-scoring Polee, Shepard O'Brien and Shrigley give Steve Fisher plenty of options at wing. The question will be what Fisher does at point guard. Playing the 6-foot-8 Shepard more minutes at point guard is a possibility. So is inserting Quinn, the former Cal State Northridge transfer who came off the bench this past season. But look for Fisher to give every chance to Zabo, maybe the most impact-ready of the freshmen.